The NCAA Division I Wrestling Championships began in 1928. 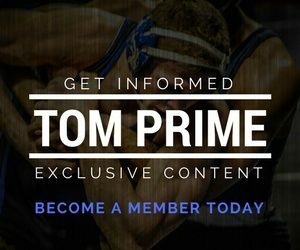 Every year since then, except 1943-45 when the tournament was not held due to World War II, the best college wrestlers in the country have gathered to compete. There have been incredible matches, amazing individual careers and legendary teams over the years, but who was the best of the best? Today we look at the best college teams of all-time. 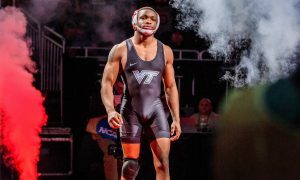 With the evolution of the tournament over the years, including the number of weights and All-American spots increasing, it can be a difficult comparison to make. There are some fantastic teams that didn’t make the cut. However, the top five stand alone. 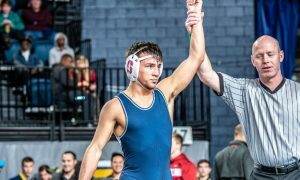 The original list from last July had to be revised after Penn State became just the fourth team in Division I history to win five individual titles. The Nittany Lions might have climbed even higher on this list if Nick Suriano stayed healthy and they’ll be back strong next season. For the second time in the Cael Sanderson era, Penn State put five in the finals, only this time they won them all. They became the first team ever to win five consecutive weights and ran away from second-place Ohio State, finishing 36.5 points ahead. 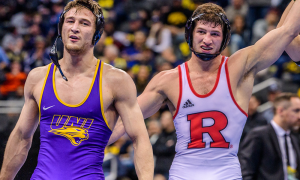 Zain Retherford (149), Jason Nolf (157), Vincenzo Joseph (165), Mark Hall (174), and Bo Nickal (184) all won titles with Retherford, Nolf, and Joseph all scoring bonus points in the finals. Nick Nevills’ fifth place finish at heavyweight rounded out the All-Americans from Happy Valley. Matt McCutcheon (197) lost in the round of 12 and Nick Suriano (125) was injured a month before the NCAA tournament. This team was great and, if not for a bad break or two, they could well have been even greater. The legendary coach Ed Gallagher passed away in 1940, but the dynasty he built in Stillwater continued. The Cowboys, now coached by Art Griffith headed into the 1941 NCAA tournament having won four straight titles. They won their fifth going away. 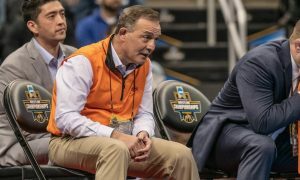 In an era with eight weight classes, four All-Americans per weight and wrestle-backs only for those that lost to a finalist, Oklahoma State put together a nearly perfect tournament. They won four consecutive weights from 136 to 165, had another finalist at 121 and finished third at 128 as well as in the unlimited class. The only Cowboy not on the podium was their 175 who lost in the first round and was not pulled back into the wrestlebacks. They outpointed second-place Michigan State 37-26 for the title. 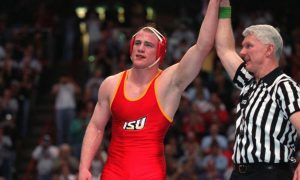 The most recent team to win five individual titles in an NCAA tournament, John Smith’s 2005 squad featured Zack Esposito (149), Johny Hendricks (165), Chris Pendleton (174), Jake Rosholt (197) and Steve Mocco (285). The Cowboys had the title wrapped up long before the finals but proceeded to go 5-0 on Saturday night to put an exclamation point on their dominant victory. Daniel Frishkorn finished fourth, a freshman Coleman Scott finished eighth while fellow freshman Nathan Morgan failed to make the podium. The margin of victory was 70 points over Michigan. 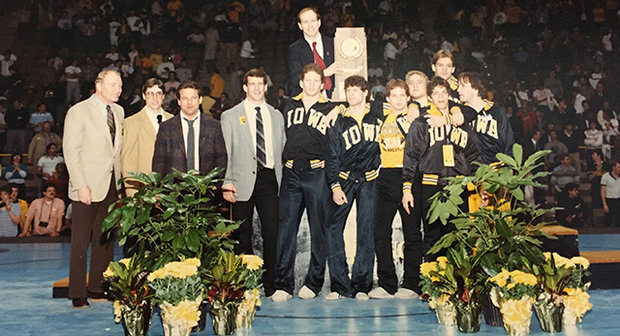 With the Dan Gable era rolling right along, the Hawkeyes entered the 1997 NCAA tournament having won five of the last six titles. Jesse Whitmer (118) and Lee Fullhart (190) won surprise championships from the six and five seeds respectively, while Iowa’s big guns, Mark Ironside (134), Lincoln McIlravy (150) and Joe Williams (158) lived up to the hype, winning from their top-seeded positions. The final session’s only blemish was Mike Mena’s loss to Oklahoma State’s Eric Guerrero in overtime. 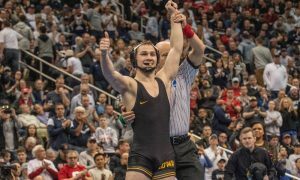 With six finalists and two more All-Americans, from unseeded Kasey Gilliss (142) and 11th seed Mike Uker (167) no less, Iowa romped over the Cowboys by 56.5 points. 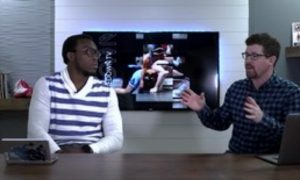 Having won an astounding eight consecutive titles, and 10 of 11, another title for Dan Gable and the Hawkeyes in 1986 could have been just more of the same. 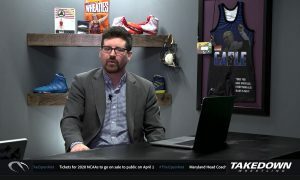 Instead, the greatest team in the history of NCAA wrestling dominated the rest of the country in a way not matched prior or in the years since. With six finalists and five champions, both records at the time that have only been matched since, Iowa rolled away from second place Oklahoma and won by the still standing record margin of victory, 73.25 points! Brad Penrith (126), Kevin Dresser (142), Jim Heffernan (150), Marty Kistler (167) and Duane Goldman (190) stood on the top step while Greg Randall (134) was second, Rico Chiapparelli (177) was fourth and Royce Alger (158) was fifth. The championship would be the last for Iowa until 1991, four years is ages in the Gable era, but, as we saw above, the Hawkeye dominance would return.